A 1981 UNC Law School graduate, Louise served as an Assistant District Attorney in Brooklyn, New York from 1981 until 1984, when she returned to North Carolina. She has limited her practice solely to Workers Compensation for the last 30 years, being a board certified specialist in Workers Compensation since 2000. 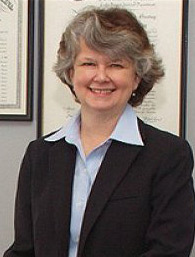 Louise served terms on the NCBA Workers’ Compensation Council from 1997 to 2003 and 2010 to 2013, and she was appointed to the Workers Compensation Law Specialty Committee in April 2006 (serving as Chair from 2010 to 2012). Louise is also a NC DRC certified mediator, and now limits her practice to workers compensation mediation. Travel charge: There is no charge to travel to Charlotte and Winston-Salem and west. If you are east of Winston-Salem and Charlotte please contact me to discuss travel costs.